Among the rich bat fauna to call Osa Conservation home, a select group speaks to the pristine nature of its old-growth forest: the gleaning phyllostomines. 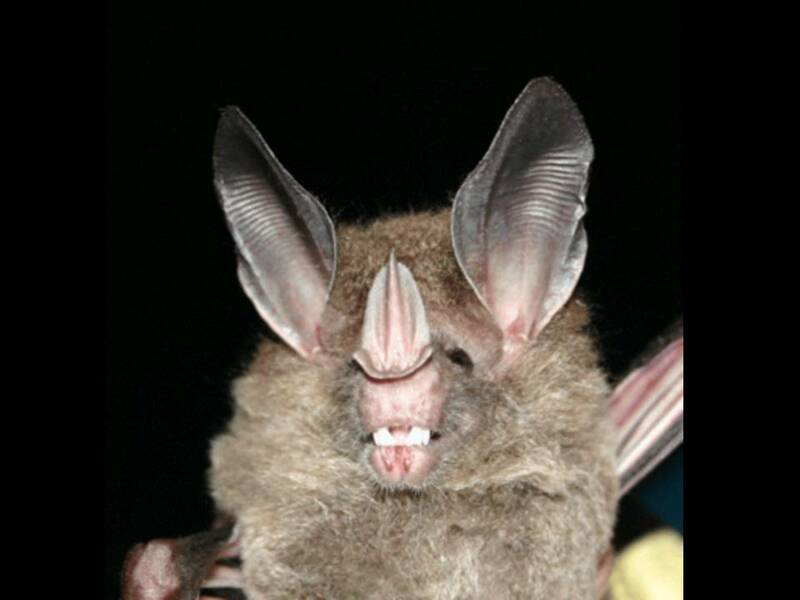 These large-eared members of the highly diverse leaf-nosed bat family favour habitats of high ecological integrity that include mature forests and undisturbed riparian corridors. They kindly allowed us to take their photos before going on with their lives. Phyllostomines are typically found in low abundance throughout their ranges, however since we started surveying the bat fauna around the Piro Biological Station in 2012, eight of the 33 bat species that we identified belong to this special group. This represents about half of the phyllostomines species expected to inhabit the lowlands of the Osa Peninsula. Phyllostomines are primarily insectivorous, and their unusual manoeuvrability allows them to forage within the forest understory, either gleaning their prey from the vegetation or catching them in flight. 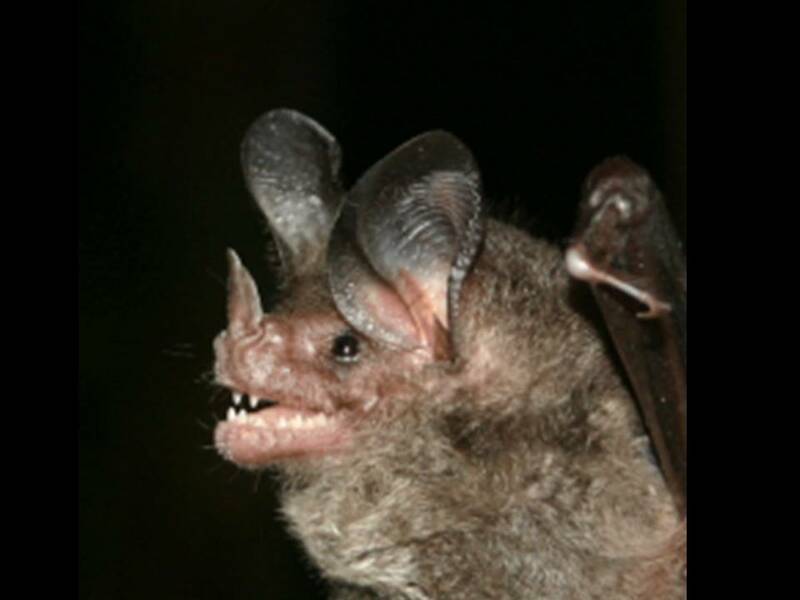 Some of the larger species, such as the frog-eating bat (Trachops cirrhosus), also include vertebrates in their diet. Their large, sensitive ears allow them to eavesdrop upon the mating calls of frogs and insects. The similar sized white-throated round-eared bat (Lophostoma silvicolum) has the peculiar habit of roosting in live termite nests, making it one of the rare bat species known to dig out its own shelters. 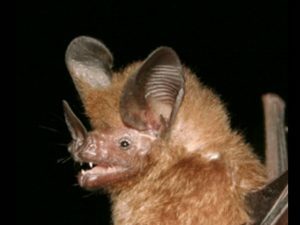 The striped-headed round-eared bat (Tonatia saurophila) (shown right), like many other phyllostomine species, occurs in low abundance and is relatively rare throughout its range. Consequently, we have much to learn about their lives in the wild. The smallest of them all (shown left), at around 5 g, is the common big-eared bat (Micronycteris microtis). As its name suggests, it is among the more frequently encountered bats of this group; nevertheless, it is unlikely to appear in highly disturbed habitats. 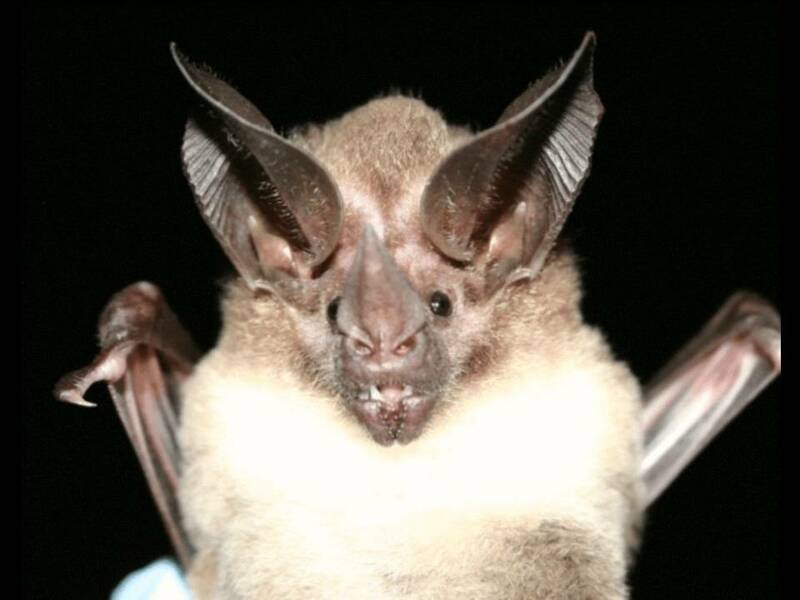 Common big-eared bats are known to include fruit in their diet, as is probably the case for many other more secretive phyllostomines. 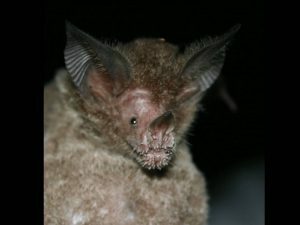 The star of our bat encounters at Osa, the woolly false vampire (Chrotopterus auritus) (shown below), is the second largest bat species in the New World, with a wingspan of over half a meter. Ten times the weight of the common big-eared bat, it is one of the top nocturnal predators. The presence of diverse phyllostomines in Osa’s old growth areas is good news for the outcome of forest restoration, as they will provide the source populations necessary to re-colonize restored areas as they become suitable. 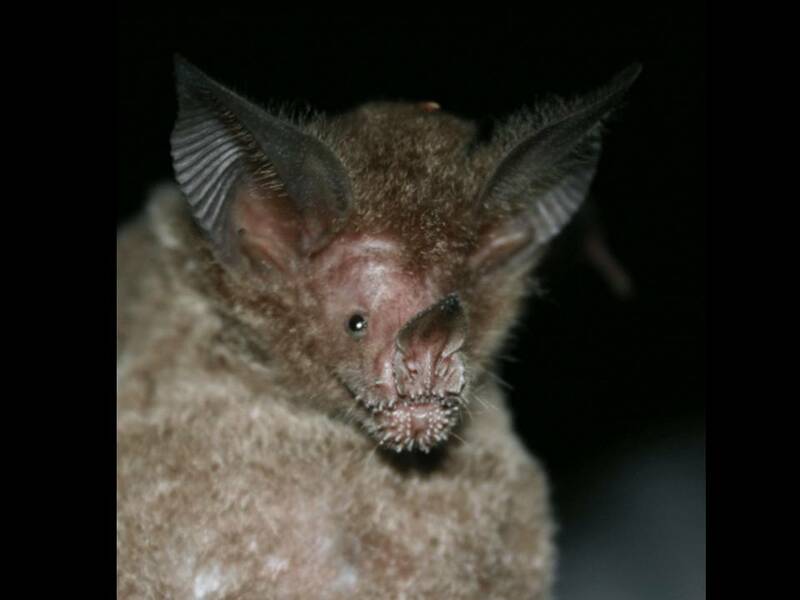 On each of our visits to the Osa, at least one additional phyllostomine species revealed its presence, and we are eager to continue discovering what bats call this forest home! This entry was posted in Environmental Education, Science and Research, Volunteers and Visitors and tagged bat, bats, Conservation, Costa Rica, osa, phyllostomines, research, study. Bookmark the permalink.